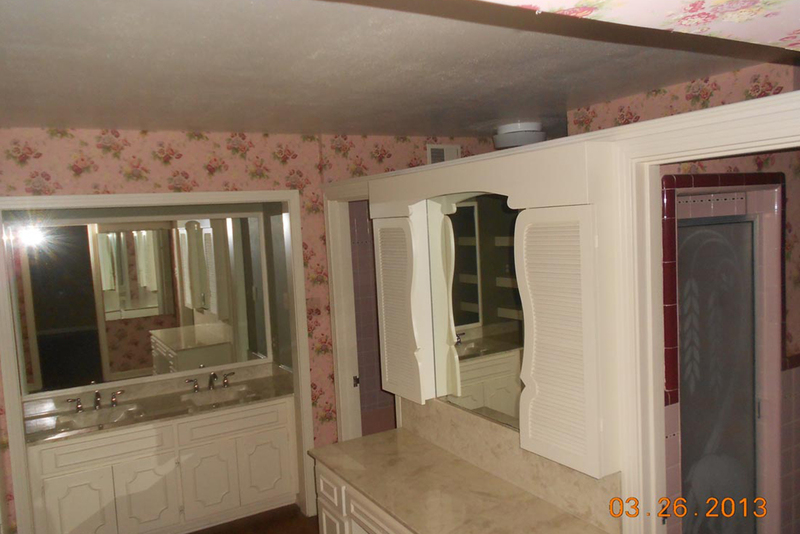 This 1920’s vintage style his and hers bathroom received a completely new face. 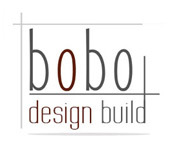 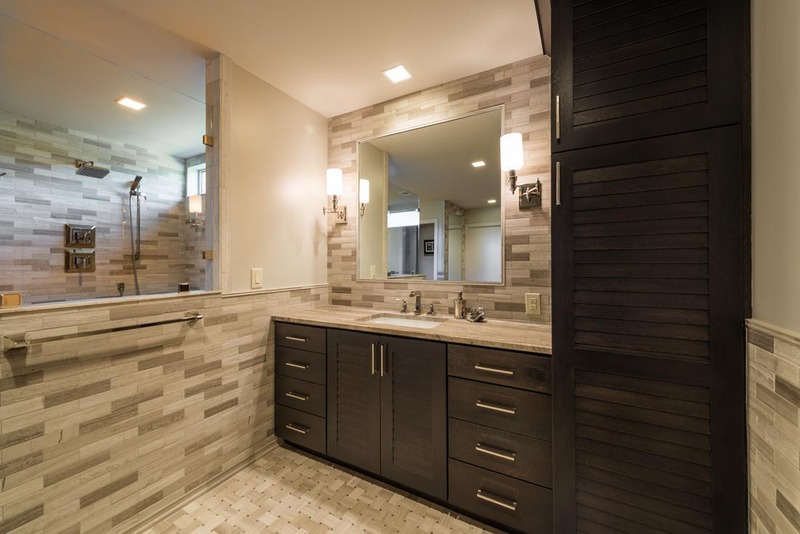 The design really opened up the room to create truly private his and her vanities and closets. 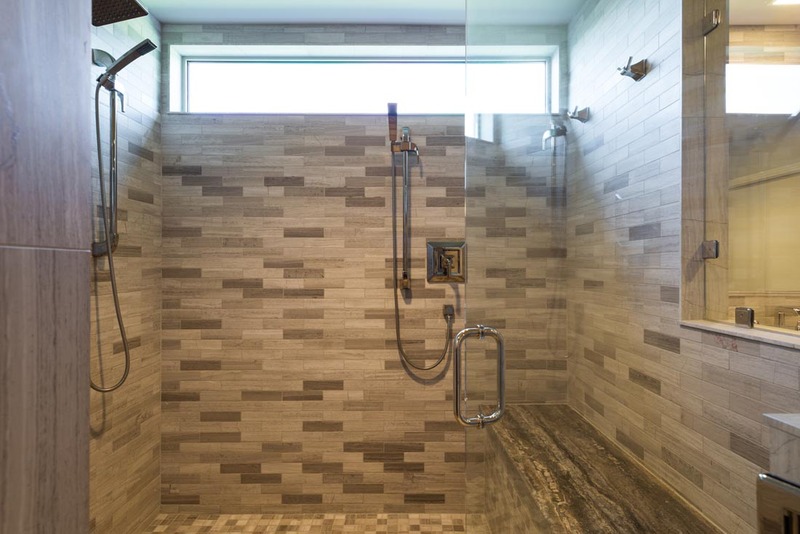 An impressive walk in shower with a full seat granite bench, recessed lights and a window accompanied by horizontal Dewils style cabinets are the perfect solution for an attractively tranquil retreat. 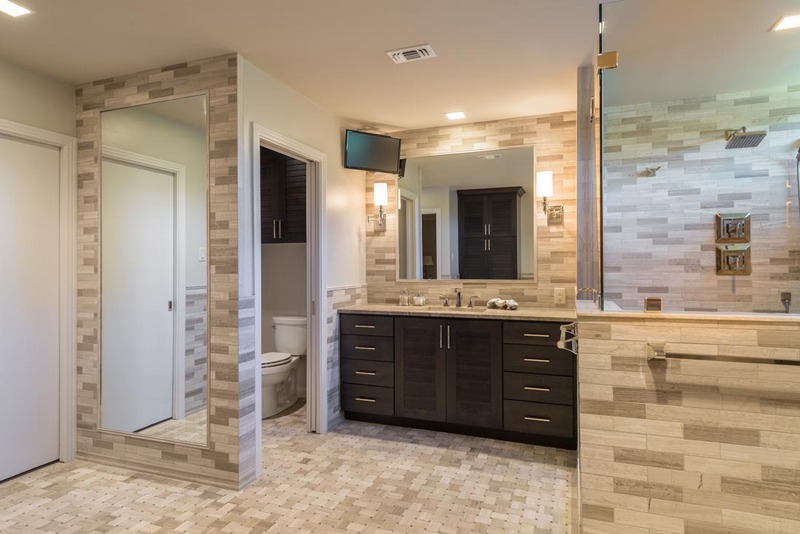 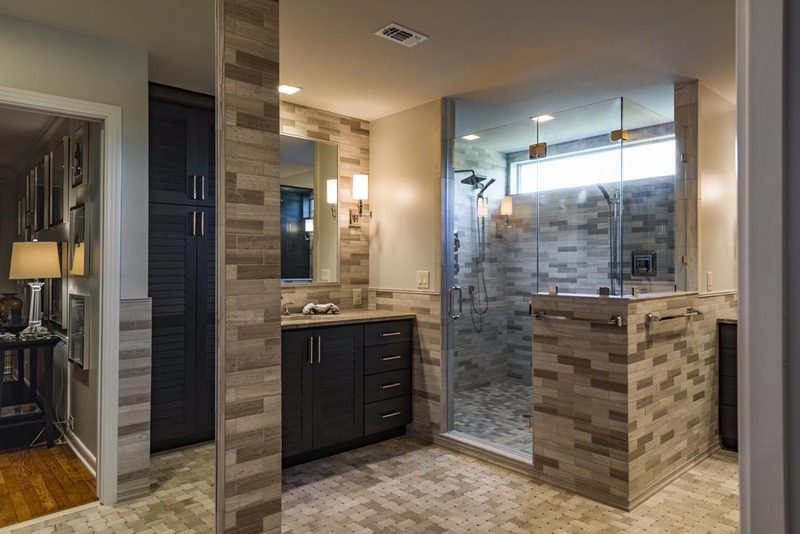 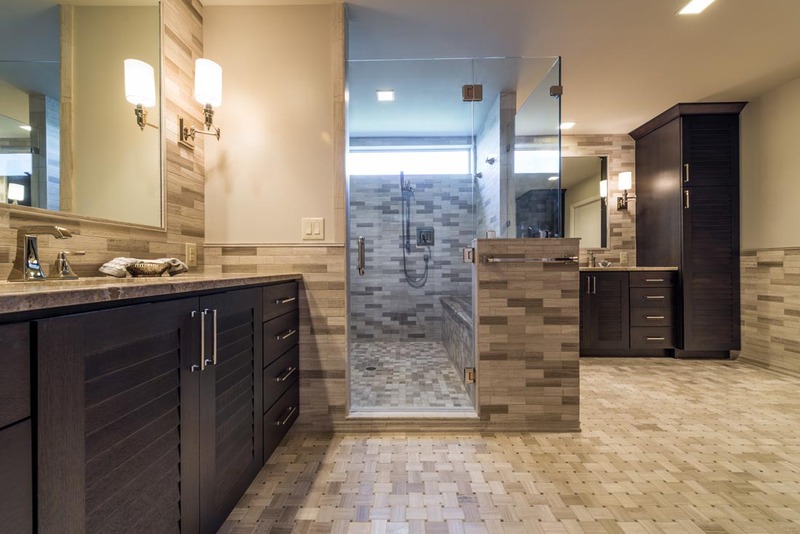 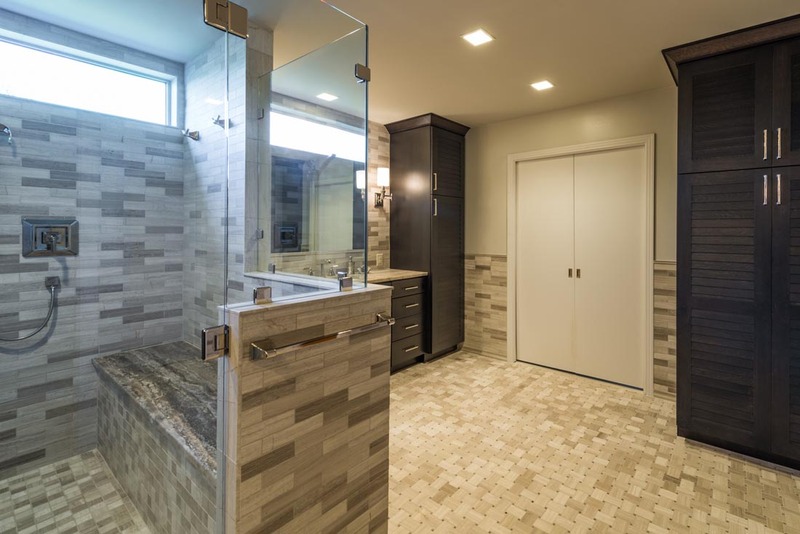 Special design features include basketweave tile accent flooring with DeWils horizontal cabinets, dressing mirrors with tiles installed around it, his and hers linen cabinets, wall sconces on the sides, granite tops and window add light to the shower along with recessed lights in the closet.